Complete the Holiday Uproar story to earn special prizes, including winter and holiday themed decorations, Golden Apples that restore health, a unique title and the most unusual of Reindeer to ride around on! 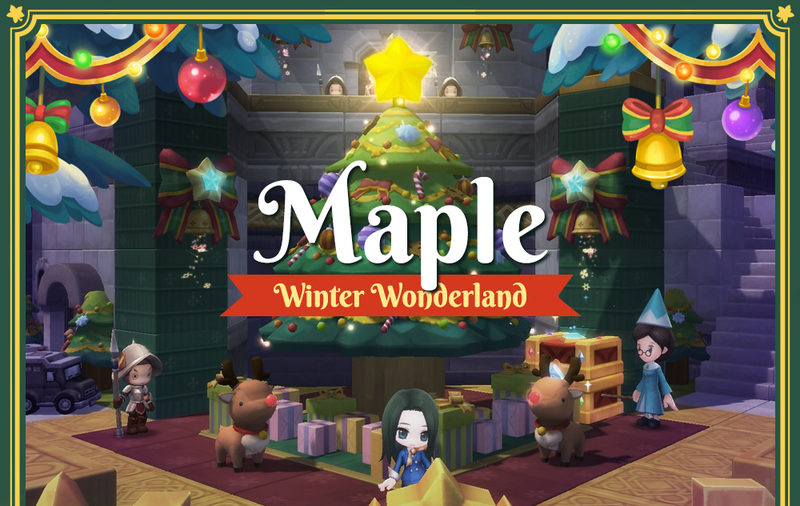 You'll also unlock a pair of daily quests, which you can complete a dozen times to earn the Cozy Winter Name Tag and Chat Bubble! 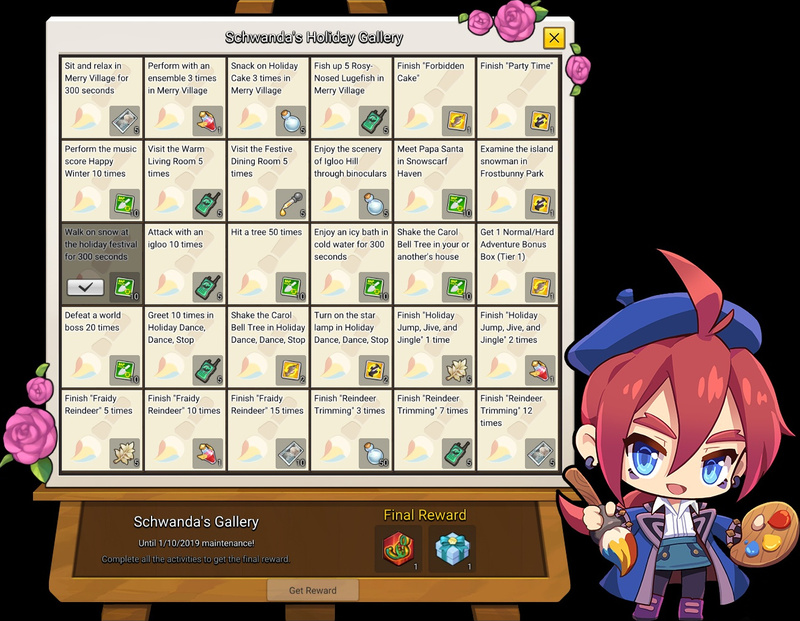 When you log in to MapleStory 2, accept the Santa or Savior quest from the Available Quests menu (the exclamation mark over your portrait). Fraidy Reindeer quest rewards 5x Winter's Golden Apples when completed, which restore 800 Health when consumed, and complete it 12 times to earn the Cozy Winter Name Tag! Tree Trimming with Reindeer rewards 5x Sweet Hot Cocoa when completed, which restore 1680 Health when consumed, and complete it 12 times to earn the Cozy Winter Chat Bubble! Join us for the first month of the Skybound Update for a massive giveaway for all players over Lv. 10! Jump a character up to Lv. 50, gear them up with Exceptional equipment, speed up your journey to Lv. 60 and more! 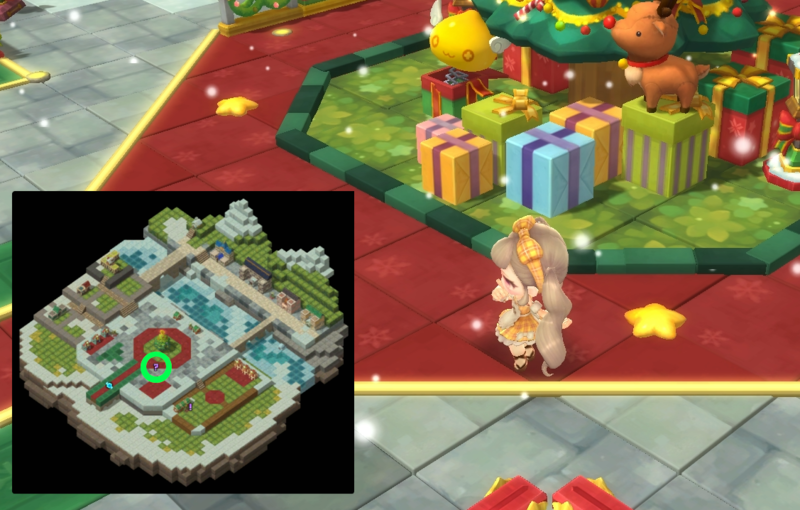 Log in to MapleStory 2 during the event with a Lv. 10 or greater character and receive a pair of huge packages filled with goodies: The Advanced Training Bundle and Level 60 Achievement Package! Level-up Booster Ticket, which gives a +50\% boost to your Combat, Performance and Fishing Experience, 50\% more Meso Drops and +3\% Physical and Magical attack for 90 minutes! Merry Village is full of fun things to do, and Schwanda's so eager for you to see it all that she's giving away special prizes for 36 little tasks in Merry Village and beyond! Complete the tasks for special rewards, including healing items, Rotors Walkie-Talkies, Auto Vouchers and more! 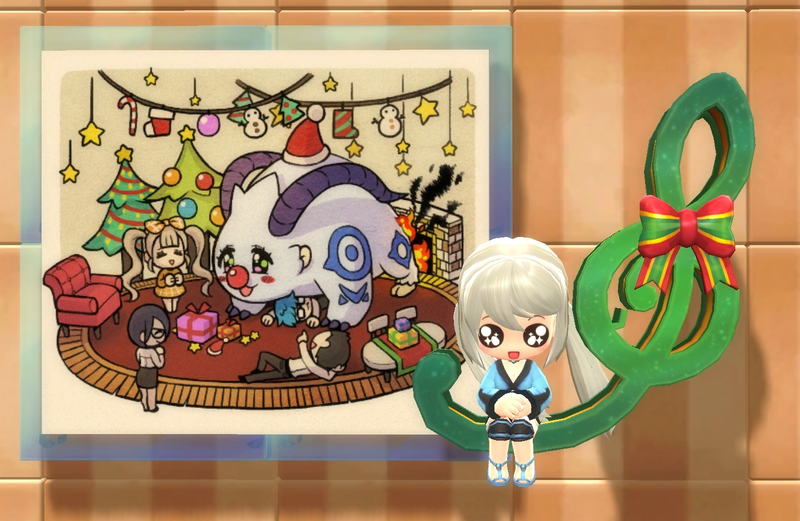 Complete all the tasks to earn the Holiday Portrait Box, containing a four-piece painting decoration for your wall, and the Holiday Melodies flying mount! What's the holidays without a dance party? MC Kay has given the Dance Dance Stop arena a Christmas-y makeover, and you can get special prizes for both competing and winning, with the parties happening every half hour! 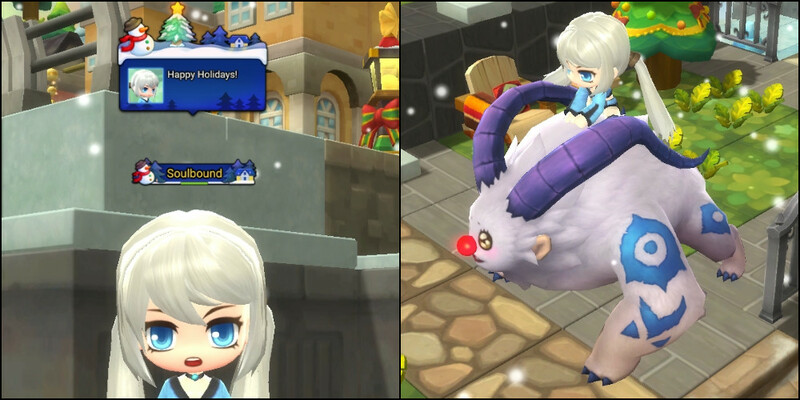 Win a Dance Dance Stop game to receive, in addition to the normal prizes, a Festive Holiday Decor Gift Box! Speak to Ruby in Queenstown or Merry Village to get the Dance During Christmas weekly quest, which gives you 3x Festive Holiday Decor Gift Boxes for joining 3 Dance Dance Stop parties! It's the giving season, and we're giving out a wealth of items to make your holidays fun and stylish! 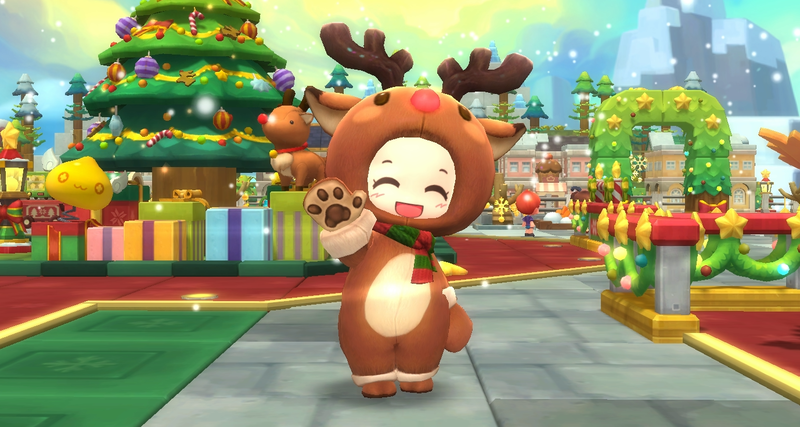 Play MapleStory 2 for just 30 minutes for 14 days and get Instant-Gathering, Auto-Performance and Auto-Fishing Vouchers, Revive Vouchers and Recovery Elixirs, plus the full (and adorable) Happy Reindeer outfit! Guilds are expanding with the Skybound Update, and you can help get your Guild into top shape on Saturdays starting December 15th! Run your Guild Quests and get twice as much Guild Funds and Guild Experience with each completion!